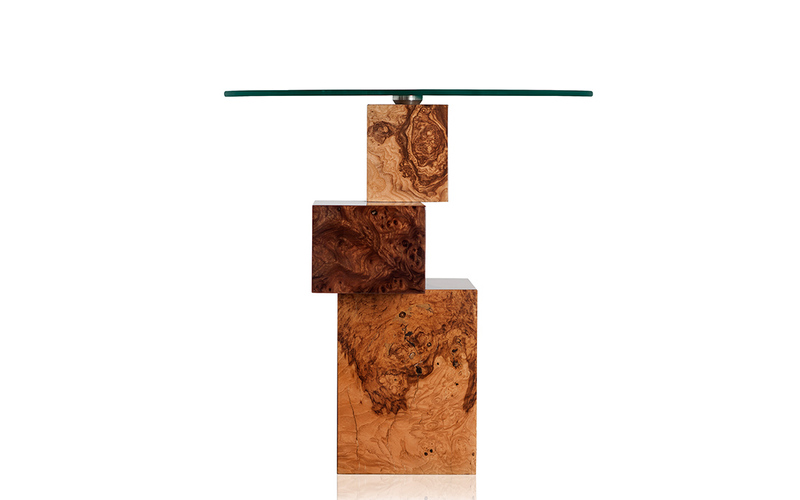 Side Table Equilibrium - Amarist studio - Collector Furniture. 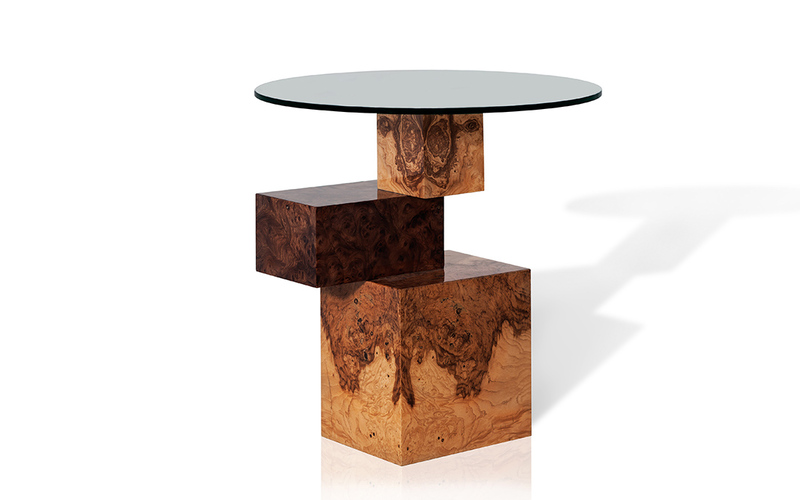 The Equilibrium table collection suggests a reflection on menkind and his actions towards nature. 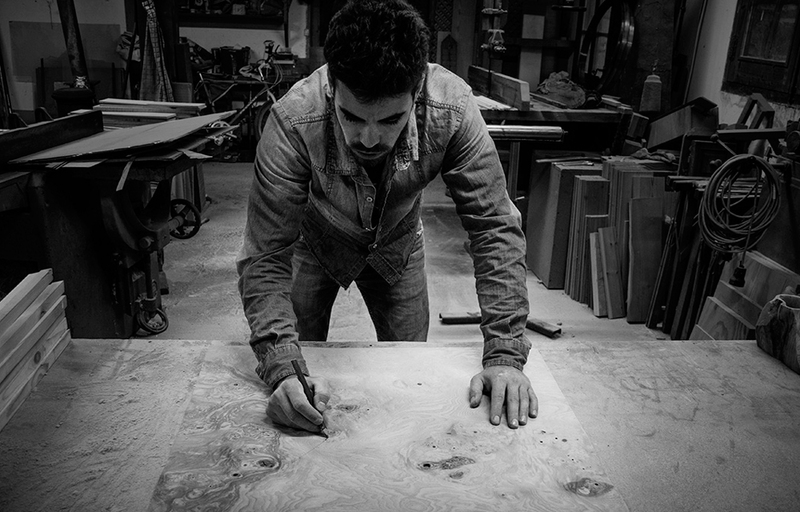 The artisan carefully transforms the wood into unique geometric volumes. Sobriety and elegance. 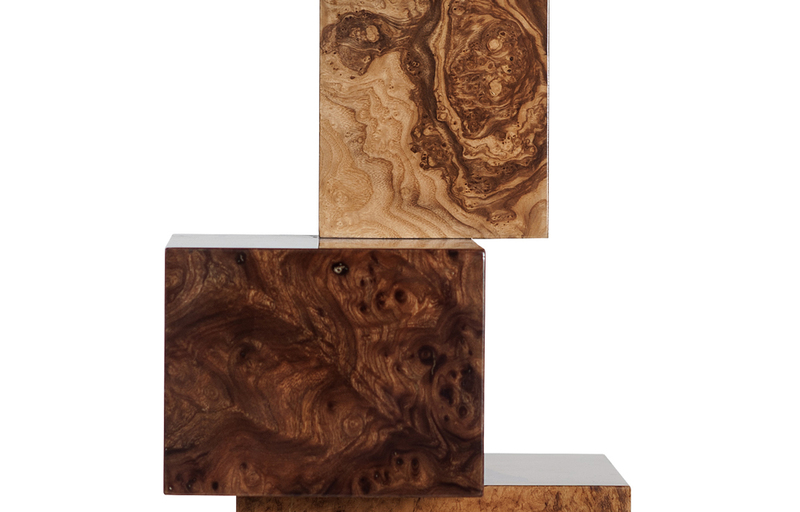 The classical roots of hardwood converge symphonically with the modern geometric composition of the piece. Highlights: Geometric and modern side table. Arts and techniques: Woodwork and glasswork. 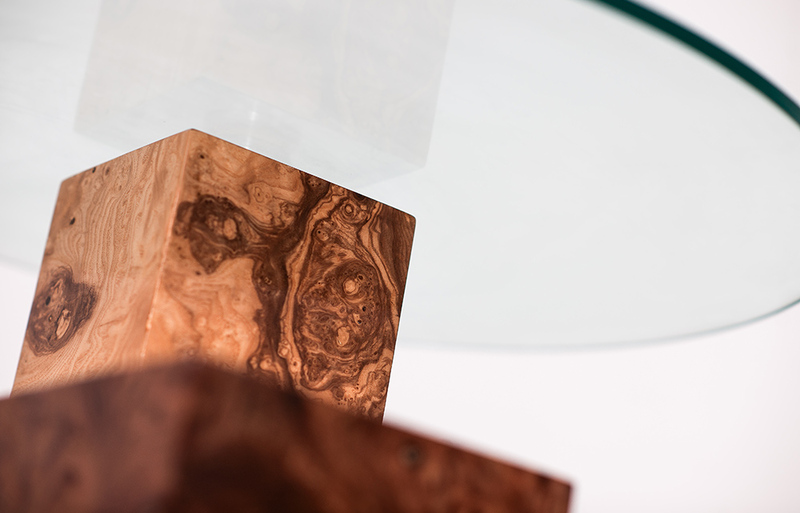 Materials: Ash-olive root veneers, cherry root veneers and tempered glass. * The collection Equilibrium is made of natural wood veneers, each piece can present a different finish due to the nature of the wood. Height: 60 cm / 23,62 in. Table top diameter: 60 cm / 23,62 in. Weight: 22 Kg 28 lb approximately.